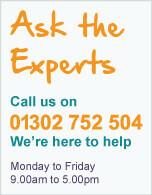 Our glass balustrade system features a huge range of glass clamps, baluster posts and fittings in different styles. 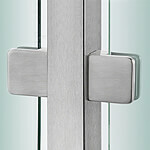 Glass and stainless steel work together beautifully. 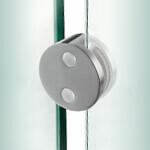 Here you will find a wide range of glass balustrade fittings for your installation. All our products are manufactured with a full understanding of the stringent safety requirements and legislation in this field. 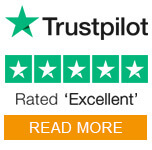 Our glass clamps are simple to install using M8 X 20 stainless steel Hex Head Cap Screw for either 42.4mm or 48.3mm tubular or flat profiles. Our components are ideal for glass balustrade installations such as staircases, partitions, balconies and so much more - just let your creativity run wild. With a wide range of high quality glass clamps for indoor and outdoor applications, and a choice of sizes and mounting profiles - we have put together a range to suit your every need. D Shaped Clamps available for tube and flat mount, with a distinctive smooth design to complement any glass balustrade project. 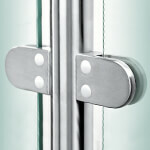 For a modern style Square Shaped Glass Clamps designed with clean lines, available for flat and tubular mounting. 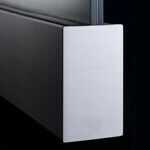 Our full range of frameless glass channel balustrade Components and Fittings. 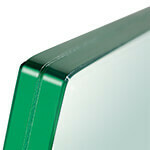 Toughened and laminated Glass Panels for our balustrade systems. 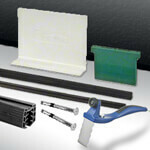 Glass channel balustrade Handrail Gaskets, Fixings and Tools.